In 2012, and for only the fourth time, AFL Tasmania has decided to include a further ‘Special Category’ induction. What better way to recognise the unique and long-standing contribution of the King Island football community to Tasmanian football than by inducting the King Island Football Association (KIFA), the first football competition in Tasmania to be inducted. King Island is 64km long and 26km wide and is renowned for producing some of Australia’s finest natural foods including beef, cheese, crayfish and abalone. The island boasts over 145km of untouched coastline and is also rich in maritime and natural history. With an estimated 57 shipwrecks and many lighthouses and jagged reefs it also has bountiful, long stretching sandy beaches and lush green pasture and a wide and unusual variety of seabirds and wildlife. Another notable feature of King Island life is its longstanding tradition of Australian Football. In many ways, football epitomises the strength, toughness and resilience of this famous island. The isolation it endures has brought a particular strength to the local league, flaming old rivalries and keeping the competition alive and kicking for over a century. The local teams – and there were up to five at the height of the Great Depression in the 1930s and four during the scheelite mining operations at Grassy in the 1950s – have played football for more than 100 years. The three clubs that remain, Currie, Grassy and North, share an annual roster of games and a finals series involving all three clubs’ senior and junior players. The KIFA conducts a three-team finals series with the first ranked team at the end of the roster progressing directly to the grand final. The preliminary final is played between second and third placed teams with the winner going on to the grand final. This finals system is unique in that it is technically possible to win the wooden spoon and the premiership in the same season. However, despite being a popular topic for discussion, there is no record of this actually occurring. The KIFA conducts its roster and finals series predominately on the Currie Oval, where all three clubs train due to the quality of the surface. Grassy also maintains an oval which is used for four or five home games a year, weather permitting. Despite being the smallest football competition in Australia, KIFA continues to provide an annual opportunity for players of all ages to participate in Australian Football in one of the most remote locations in Australia. Recently the island’s population base has been as low as 1400, and yet the football-loving King Islanders have managed to keep a three-team competition alive when a lot of towns of this size struggle to maintain a single side. The KIFA has benefited from having many locals participate in the games and has also attracted the contribution of some high calibre players and coaches from the Tasmanian mainland, including Jack Redell, Noel Atkins, David Lewis, Terry McCarthy and Peter Roozendaal. The island has sent well over 20 players to the VFL/AFL competition and many more to the second tier football leagues. In recent years the drafting of local King Island players Barry Brooks and Angus Graham to the AFL national competition has highlighted and rewarded the contribution of many to the continuation of the KIFA. Local footballing families such as the Summers, Conleys, Morrisons, Bells, Barnetts and Sartoris are now forever etched into local folklore. 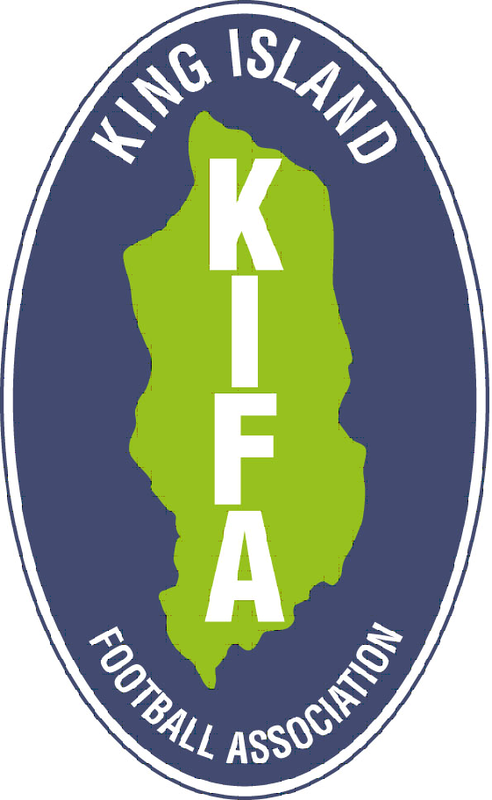 The uniqueness of the KIFA is reflected in the knowledge that it is one of only three major offshore competitions in Australia, including the Tiwi Islands Football League in the Northern Territory and the Kangaroo Island Football League in South Australia. > 1904 to 1913: Currie and North. These two clubs have fielded players every season. > 1914 to 1918: Currie, North and Rovers. The King Island Football Association was formed. > 1919: Currie, North and Grassy. > 1920 to 1927: Currie, North and Pegarah. > 1928 to 1937: Currie, North and Loorana. > 1938 to 1948: Currie, North and Grassy. > 1949 to 1971: Currie, North, Grassy and Mount Stanley. > 1971 to present day: Currie, North and a merged Grassy/Mount Stanley. > The three-team competition continues to this day.